A low cost weight loss program with proven results! 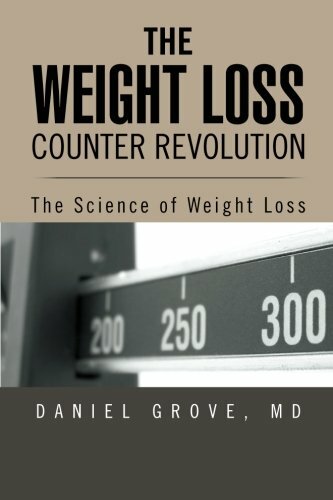 I finally found some good news from the research world about successful weight loss. Unfortunately, most of the studies I read can be pretty depressing. There’s so much out there about how we’re all getting bigger and sicker. The diet studies show disappointing and unsustained benefits. So I was excited to read about research published on a study done by the University of Colorado. The study followed people on the Take Off Pounds Sensibly (TOPS) program. TOPS is a national, low-cost, weight loss program led by peer-volunteers. The researchers followed people who renewed their annual membership over up to 7 years to see if sticking with the program led to clinically significant weight loss. They defined loss of 5% of body weight as clinically significant. They chose that number because that amount of weight loss has been shown to improve obesity-related conditions such as diabetes. The study included roughly 75,000 participants, and focused on those who renewed their annual memberships consecutively for up to seven years. It found that 50 percent of the subjects had clinically significant weight loss in their first year in TOPS, and 62 percent of those who stayed with the program maintained that after seven years. This is a very significant finding because this is the first study of any national weight-loss program to report real-world weight changes and program retention for such a long period of time. It’s also significant because the program is low-cost and peer-led so it’s easy to implement and disseminate widely. 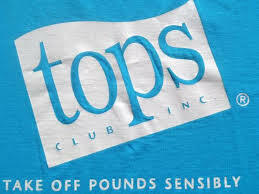 TOPS is the short name for TOPS Club, Inc., the original nonprofit, noncommercial network of weight-loss support groups and wellness education organization. It has been around since 1948 and offers tools and programs for healthy living and weight management. There is a particular focus on group meetings and peer support. There are weekly meetings that include private weigh-ins and professionally prepared, informational chapter programs, featuring up-to-date information on nutrition, exercise and healthy lifestyles. Programs provide positive reinforcement and motivation to adhere to food and exercise programs. I love the idea of this program because it provides the peer support element which is lacking from many weight loss programs. The value of having people just like you who deal with the same struggles available to support and guide you through something as difficult as sustained weight loss has a value that cannot be understated. Even better is how cheap it is. It costs about $92 a year (a $32 annual fee plus nominal local chapter dues averaging about $5 per month). That’s way less than any other program out there. I really recommend that you check this program out. What I especially love about the program is that their website isn’t super fancy with airbrushed supermodels touting miraculous weight loss. It has people that look like you and me that have had real and remarkable success (click here to see some of the success stories). Also, as you may know, the foundation of this blog is to find you evidence based recommendation on weight loss. I sift through the fads, gimmicks, and garbage to find you the stuff that has been proven to work. With this recent publication from the University of Colorado, you can add TOPS to the list. Check out more from them by clicking here. Also, if any of you have had an experience with TOPS, good or bad, please tell me your experiences in the comments section below.